DNA Testing is acquiring recognition all over the world. People are now aware that DNA testing can solve a lot of questions that remain unanswered otherwise. With a simple DNA Test in Assam, you can get answers to many questions. DDC Laboratories India has a whole range of tests according to your needs including for peace of mind like paternity DNA tests and maternity DNA tests. These tests strengthen the relationships that were always in doubt. We also conduct DNA tests to find ancestral history. We already have our sample collection centers set up at Guwahati, Tezpur, Dibrugarh and Silchar. At DDC laboratories India, we offer 100% accurate DNA test results for various purposes. We do DNA tests for the peace of mind like Paternity DNA test, Maternity DNA test, sibling-ship DNA test, ancestry lineage to establish biological relationships, determine hereditary diseases and ailment history in the family. In case of immigration applications, we conduct embassy approved DNA tests for countries like UK and others where sufficient documents are not presented. DNA test results are considered as valid evidence to establish family relationships. 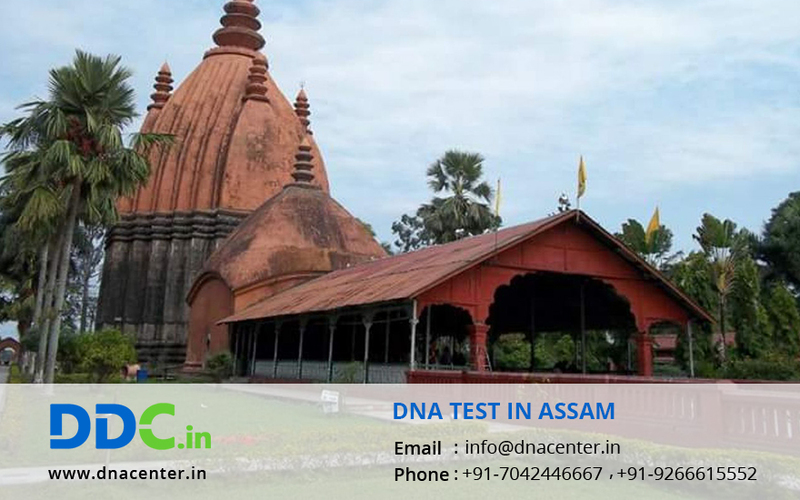 For any sort of DNA test in Assam please fill the below form and our executive will get in touch with you. To know more call us at: +91 7533008488.